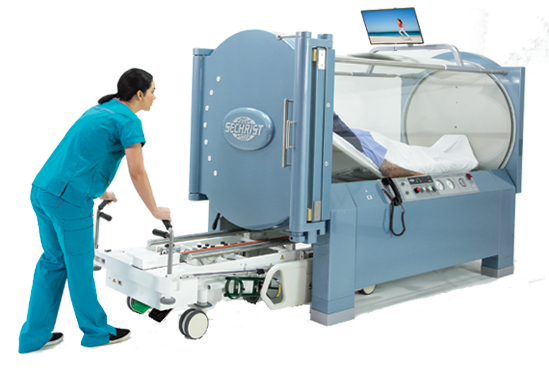 Sechrist Industries has introduced its unique, Low Profile Hyperbaric Gurney. Sechrist Standard Hyperbaric Chamber Gurneys are designed exclusively for all Sechrist Monoplace Hyperbaric Chambers. This exclusive design allows for easy patient transfers both in and out of a Sechrist Hyperbaric Oxygen Chamber. All Sechrist Hyperbaric Chamber Gurneys include a one-step locking mechanism for simultaneous locking of all wheels enhancing safety.